The Mr. & Zoey left this morning for summer camp. (Zoey's first camp!) The Mr. will be helping with the 8th-10th grade youth camp. I think his role is "Security". He asked for a taser & a badge, but last I knew, he hadn't heard if his request had been granted. 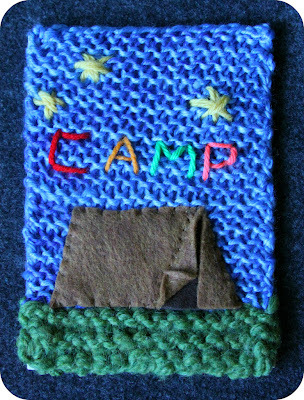 Pazely & I dropped some mail at the post office this morning, which included this knitted postcard for my little camper. 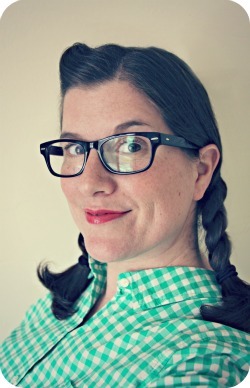 Pazely also wrote a letter to her sister, which gave advice such as: "Don't spend your money on a lot of shugery things." And: "Hope you don't get any ticks in your hair." Little Pazely & I will be kickin' it for the next 5 days. She'll be my cuddle buddy, my Summer Diary partner, my little helper around the house. OMG, that knitted postcard is TOO cute! 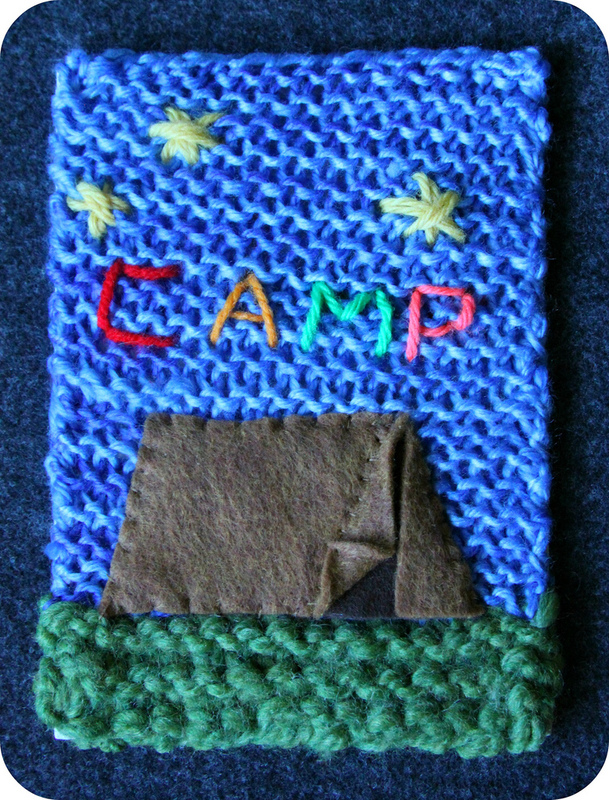 I can't knit but I may have to copy the design in paper or fabric form to send to my son at scout camp next week! thanks for the inspiration!